Back when I did personal training, I mentioned to a friend that a couple of trainees had confidence issues. I’d given them every practical step they needed to become a VA, but I didn’t have any more knowledge to impart and wasn’t sure how to move them forward. He reminded me that I wasn’t a therapist and then asked if they’d ever completed a SWOT analysis. I’d heard the term but I wasn’t really sure what it involved so he gave me a brief outline and a couple of examples. I thought it was not only a great way to get my trainees to see what steps they could take to overcome their personal issues, but also a way to work through all kinds of different problems. You can go into a ton of detail with a ‘proper’ SWOT analysis so I’m just going to give you the bare bones of the principle so you can apply it to any situation you’re struggling with in either your business or personal life. A SWOT ‘lite’ version if you like! 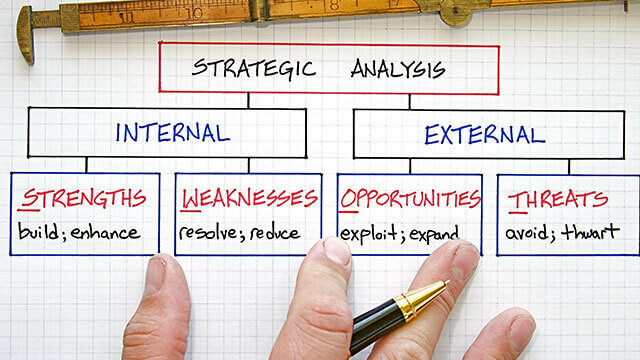 A SWOT analysis basically involves specifying the objective of a project or goal and identifying the internal and external factors that are favourable and unfavorable so you can overcome any obstacles that are in the way of reaching it. It can be carried out for pretty much anything but I’m going to give you some examples further down so you can apply the analysis to different VA challenges you may encounter. You’re looking for things you do well and resources you possess such as knowledge, background, education, credentials, location, network, contacts, qualification, reputation or skills. You’re also assessing tangible assets such as capital, savings, technology, advantages you have over your competition and any other positive aspects that add value or offer you a competitive advantage. These are things that detract from your ability to achieve the goal or task at hand and the areas that need improvement to accomplish your objective. So it may be that you currently lack the resources, time, technology or skills (personal and/or business) to overcome the obstacle at this point. * Strengths and weaknesses are internal and you can change them over time by putting in some work. You’re looking to identify things that are available to you and that you can benefit from using such as people or groups that can provide practical advice and/or training. These are external factors beyond your control that could place your goal or business at risk. You have no control over these things but will benefit by having contingency plans in case they occur. These are things like competitors, rising supplier prices, shifts in consumer behavior/the economy or a new product or technology that might make your product or services obsolete. * Opportunities and threats are external, are happening whether you like it or not and are things you can’t change. A hat company is looking to set up business on Etsy and wants to assess the viability of their business. Expertise – the founder has 15 years’ experience making hats. Low overheads – it’s cheap to open an Etsy store. Exposure – the customer reach through Etsy is high. Stock – the founder has a number of vintage hats they can replicate. Time – the founder is doing everything themselves. Marketing – the founder has no marketing experience. Fear – the founder is afraid to fail. Partnership – the founder could co-promote with other Etsy vintage fashion sellers. Business training – the founder could take some sales or marketing training provided by Etsy. They could take external courses. They could do a skills-swap with another business owner. They could learn from Etsy partnership stores. Personal development – the founder could take a workshop or course/training on how to overcome fear of failure. They could ask other business owners how they overcame their fears. They could read as much as they could about overcoming fear. Interns – they could hire an apprentice or intern to help with sewing or marketing. Server errors – the Etsy store could crash. Supplier problems – vintage fabric comes from a unique supplier who could go out of business. Competition – a new competitor could knock them out of the market. * This example above was adapted from one I found on the Internet. – I can’t network because I work full-time or have childcare issues. – I don’t have any confidence to market myself and I’m scared I might fail. – I don’t know if I can earn enough money. – I don’t know if my niche is viable. – I have clients but need more income. I have a strong skill set. There are lots of businesses and network groups in my town. I’m virtual so it doesn’t matter if there are no businesses or groups where I live. I have a good reputation with my existing clients. I’m still working full time so am not desperate for money at this point. I have access to a wide variety of contacts through my past and present employers. I still have a job so have a regular guaranteed income. I’ve overcome many challenges throughout my life and I am resilient and resourceful. I have a lot of friends and family and know a lot of other Mums. I have a positive perception of my business, skills and abilities. I have a degree/masters/training in this subject. I have savings and/or my partner can support us both for a while if necessary. I can work from home so don’t need an office. There are minimal start up costs with becoming a VA compared to many other businesses. I don’t have the money to get a website or on the front page of Google. I don’t have any confidence. I think my skills might be outdated. I don’t have any clients or a reputation yet. I don’t have much of a marketing budget. My website is outdated and doesn’t convert well. I live in a remote location. * Note that many of your strength and weaknesses may be reversed when applied to different situations. So living in a remote location might work to your advantage in another analysis. Look for early morning, lunchtime, evening or weekend networking events. Look at identifying free marketing avenues such as LinkedIn. Ask local and industry-specific LinkedIn groups and other VAs to ascertain if my niche is viable. Share childcare and/or costs with other parents or tap family members for babysitting whilst I network or work on building my business. 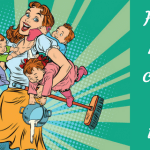 Ask other business owners/VAs/Mums how they manage networking whilst working full-time or with kids. Offer existing clients a free hour for every referral who becomes a paying client. Learn how to build the website myself or do a skills swap with a new web developer. Use an About.me page to get my first client and then pay for a professional one when I get paid. Get a quote then save up, it’s unrealistic to think I can set up a professional business without spending any money. Get testimonials from past employers and colleagues so I can prove my expertise, reliability and value. Speak to other business owners and specialist freelancers. Optimise my website for local search instead. Do one of Jo’s VA training courses and just follow the steps she gives me. Work out how much money I need to live on each month so I know what I need to earn. Watch a VA video interview to see what life is really like as a freelancer and if it’s for me. Read the VA interviews to see how they got started and what services they offer. Talk to wannabe and existing VAs in the VA Handbookers Facebook group about my fears and ask for practical advice. Make myself different than other local VAs by having a unique voice and brand and by proactively contacting my target market. Do some free or paid marketing training. Learn a new skill that will guarantee a good income while I expand and grow or one that I can use as an add-on to my existing services. Review and raise my rates. I could get made redundant from my job before I get enough clients. The economy could collapse and negate my savings. There are other VAs in my area. There are limitations to what I can do on this site. I can tell you exactly what steps you need to take to set up a Virtual Assistant business, but I can’t teach you how to think through a problem and I can’t make you confident. Some things you just have to look into and overcome yourself. Freelancing isn’t for everyone. It has no guaranteed income, you have to learn how to manage people and you have to market yourself constantly. So it might be that you decide not to set up your VA business until you have enough money saved to last a set amount of time or until you’ve taken steps to conquer your fear of failure or lack of confidence. I’ve said it before: do not become a VA because you need the money and think it will be easy. But if it is something you want to do then undertaking a SWOT analysis will help you see the opportunities (I like to think of them as options) and therefore the steps you need to take to to achieve your objectives and get around the different types of problems you will encounter on your freelance journey. Fab advice & support as ever JoJo! Awesome information. Thank you so much Jo for this, right on the money! Just the information that I was searching for! Thank you!